There’s a lot to sift through here, but we’ll start first with the promise. Board gamers love miniatures, so when Overturn first showed up offering loads of them (and cool props and scenery as well) for insanely cheap prices, it attracted a lot of attention. That attraction also brought in money, and Overturn reached its funding goal in under two hours, a remarkable feat, and in the days to come raised hundreds of thousands more. But that attraction also brought scrutiny, and it didn’t take long for more observant backers (and board game industry figures) to start picking at holes in the campaign being run by first-timers Foxtales Studios. First came the game’s location. While the campaign stated the team was based in Canada, backer Q&As eventually revealed that the designers were actually located in Pakistan, which is not amongst the countries permitted to launch campaigns on the crowdfunding service. 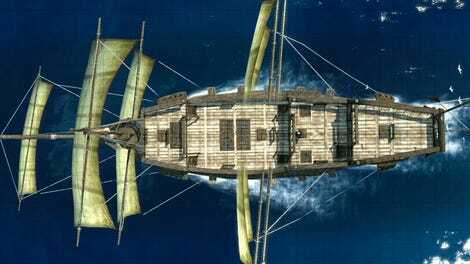 Then there was the matter of the miniatures: while the renders looked great, the campaign was almost entirely relying on 3D renders, not photos of the actual miniatures that players would be receiving. The few images that did show actual models (above) were of a very poor quality. 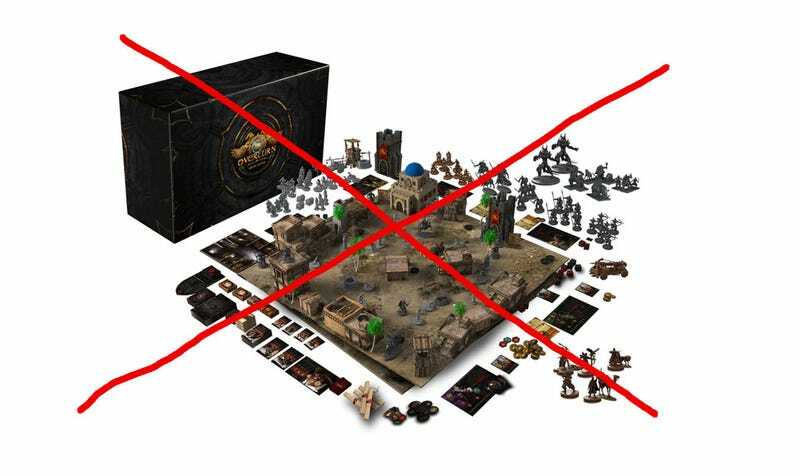 The most serious issue, though, comes from the game’s rules, which were found to have been largely plagiarised from those of another existing game, CMON’s Massive Darkness. As Two Off The Top point out here, the similarities are remarkable, down to entire sections of the text being lifted word for word. In response to all this, Foxtales have issued a lengthy statement that essentially suggests their poor English skills are at the heart of the matter, and that a freelancer they hired to translate the manual for them is to blame for the plagiarism, not them. That explanation hasn’t helped. CMON’s CEO Chern Ann Ng filed a takedown notice against the campaign, citing their plagiarism, while ATGN reports the company Foxtales had been using to manage their pledges, Crowbox, have also pulled out of the project. As a result of all this Overturn’s Kickstarter campaign has now been suspended. This whole mess has been a good reminder that as popular as board game Kickstarters have become, and as reliable as they appear to be (at least when compared to video games), you still need to be wary when first-time creators start promising the world with very little—outside of other people’s work—to back it up.